We are in Israel! Keep up with updates and information here on this page! Download our daily itinerary and map below! Today we visited Qumran which is where a Shepard boy found the Dead Sea Scrolls. The scrolls were written on leather and encased in jars and were found in the caves in 1947. We drove to Masada, which king Herod built. We rode in a tram to the fortress at the top of the mountain. The fortress was used by the Sacarii group when they sought refuge at Masada. Judas Iscariot is thought to have been associated with the Sacarii. We had lunch at Jericho near the Mount of Temptation where Jesus was tempted in the wilderness. Jericho is the oldest city on earth and would have been a place that Jesus passed through frequently. We loved sampling the local specialty, Medjool dates. 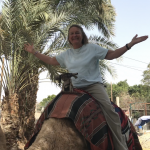 Many of us enjoyed a camel ride after lunch, compliments of Sam the Camel. The Dead Sea was our next stop. The Sea is 1300 feet below sea level and is the lowest spot on earth. Many of us floated in the Sea and some of us even took mud baths. We are told that the mud of the Dead Sea can make us look 20 years younger…..you won’t recognize us by the time we return to Durango! This evening, many of us attended a Sound and Light show at the King David Museum. Colorful images describing the history of Jerusalem were protected on the ancient walls of the museum. It was a spectacular performance and a perfect ending to a truly memorable day. Today we went to some Roman Aqueducts, climbed up Tel Megiddo, and visited ancient Nazareth. We finally met up with the rest of our team during dinner a few hours ago! Tomorrow we will all combine onto one large bus and travel to the Sea of Galilee to enjoy a boat ride and onboard worship. 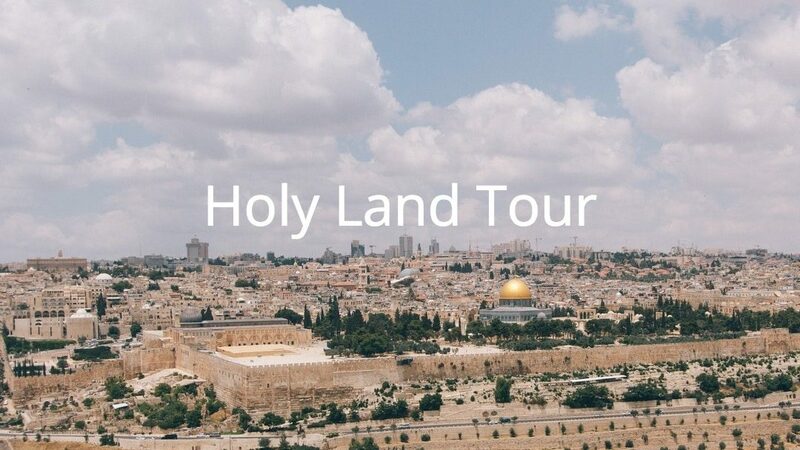 We will also visit the home of Mary Magdalene, and three locations where Jesus preached. Capernaum, the Mount of the Beatitudes, and the traditional location of the feeding of the 5,000. The next two videos are 1. A video of Jeff from the aqueducts, and 2. Jeff’s Vlog from today that was also on our facebook page and in our newsletter! Hey guys! 16 of us are officially in Israel and all checked into our hotel room for the night! Our WiFi connection isn’t super strong, so this won’t be a very long update. We got to our hotel around 8:30pm local time, and went down straight to dinner where we had an absolutely delicious meal together. I would like to let everyone know that the hummus and the Moroccan style tilapia were the best things I’ve ever eaten. Not sure if that important, but it’s my update so I’ll write it. Our hotel is right on the coast of the Mediterranean Sea, and with my balcony door open I can hear the crashing waves crystal clear! I will post a picture tomorrow when it’s day-time so you can all get a look at the view! 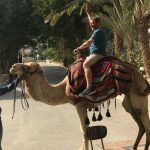 Tomorrow, as you can see in our downloadable itinerary, we will be going north to some Roman aqueducts in Caesarea, see where Paul was improsoned for two years, view Mount Carmel, and end our day in Nazareth. These posts will get better as they go since our tour bus has a much better WiFi network than we have available here. Keep checking back for updates! Hey everyone! I’m writing from the Newark airport and I have Robb and Jake with me. The three of us left Durango earlier in the week for the east coast, and have not been stopped by the snowstorms in Durango. So far i’ve heard that nobody else has left Durango yet, so we will probably/possibly be the first three to make it to Israel! We’ll also have 30+ airplane seats to ourselves! 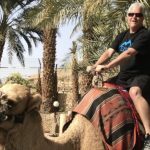 I’m off on my next journey, this time back to Israel and then to Egypt which will be a new frontier. The best advice I’ve received so far is not to fall for the offer of a free camel ride. While the ride is free, they will charge you big bucks to get off! 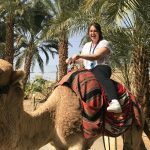 I’ll be updating this as we travel and experience the Holy Land, the flight to Egypt by Jesus and his parents, the route of the Exodus and even the pyramids. Thanks ahead of time for you prayers. I’ll post again once we get to Israel. We hope the weather systems moving through Durango will allow us to get out on time, which means we arrive in Tel Aviv on Wednesday night. Remember that we are 9 hours ahead so some of the posts may come at odd hours! 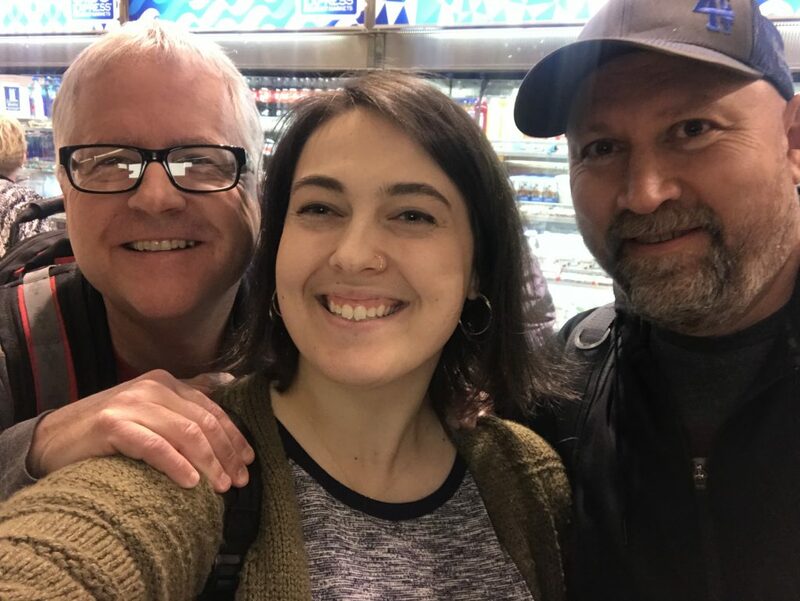 Stacey Franco, our Director of Communication and videographer will be with us so we’ll be able to send some good videos back while we’re still in Israel, and may be able to post some here as well. Talk to you all soon!